Hip In Detroit: Grab a Drink with Your Dog Tonight! Is your pup your best friend? Do you wish you could take him everywhere with you? Well this Tuesday, June 23rd that wish comes true! Thanks to Canine To Five and Como's in Ferndale you can spend a wonderful evening out on the town with your best friend. Friendly leashed dogs are welcome to join their human companion at Como's this Tuesday from 6-9 p.m for Drinking with Dogs. You already know that Como's has a great patio, so this is a great chance to show your four legged friend how awesome it is and let them meet some new friends too. Canine to Five recently opened a new location on 9 Mile in Ferndale. They meet all of your doggy daycare needs and are planning a lot of great pet friendly events in the area, like pack walks and puppy play dates. So make sure you head over and give them a "like" on Facebook so you can be the first to find out about great events like this one! For more details on Drinking with Dogs and to stay in the loop the day of, RSVP to the Facebook event here. 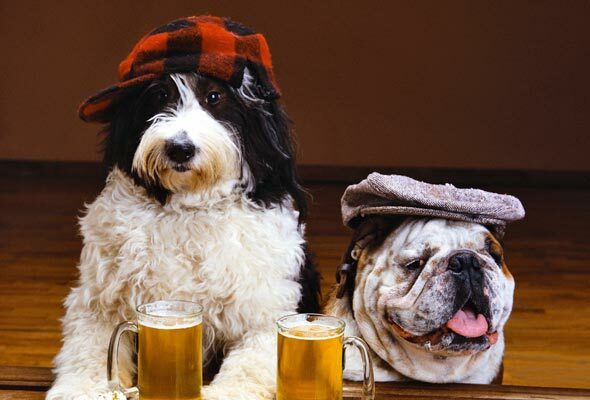 Also, mark your calendars for the Detroit edition of Drinking with Dogs, on July 7th at Northern Lights Lounge.